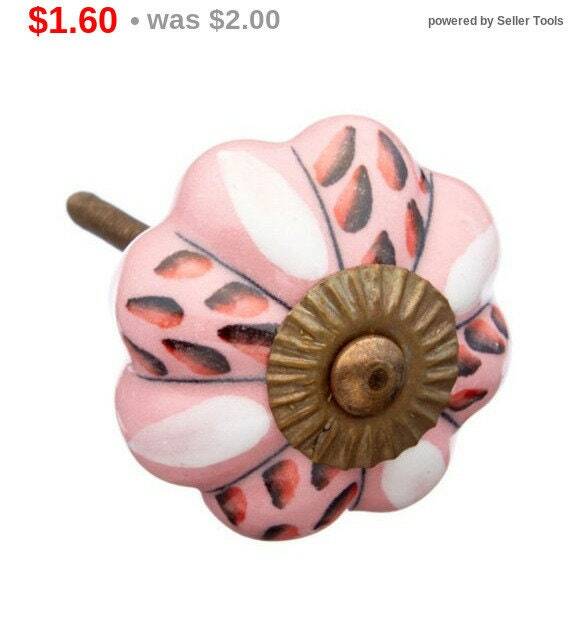 Red & Black Pink Leaf Dresser Drawer, Cabinet Pull, Door Knob, Furniture Knob. The bolt is removable. 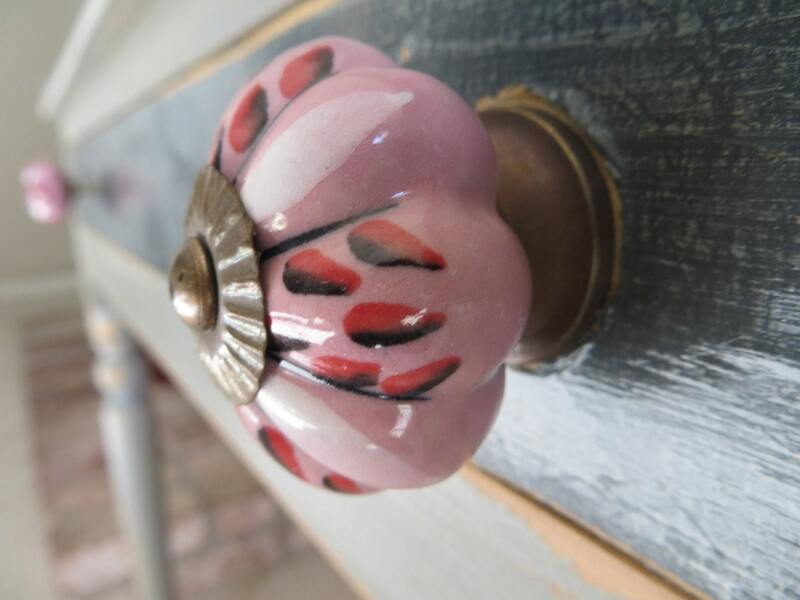 Our vintage high quality hand crafted authentic ceramic, glass and metal knobs & pulls can be used on dresser drawers, kitchen cabinets and bathroom cabinets. 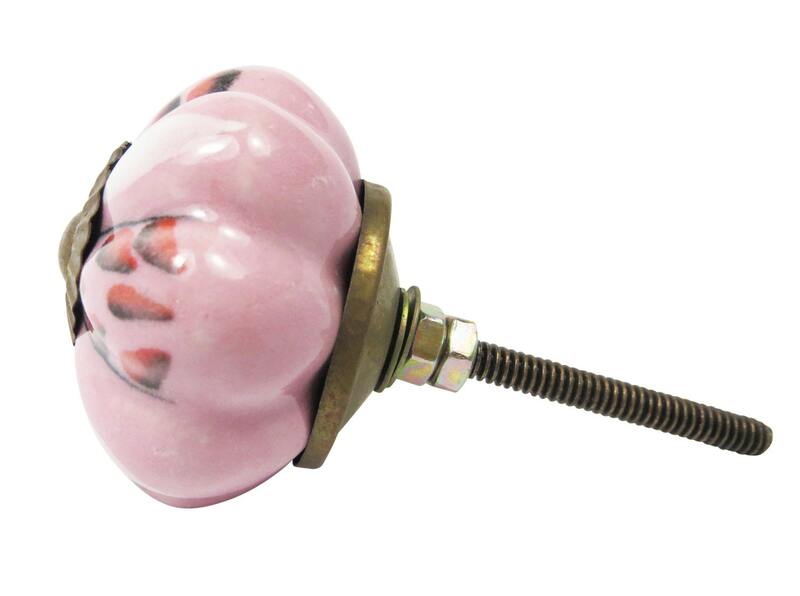 Our decorative knobs will make any furniture look more elegant without the cost. Projection from Door or Drawer - 1.75"
Our knobs are hand painted by some of the worlds best Artisans and glazed to protect the finishes. Shipping is $3.50 for the first item, then .40¢ per item after that.